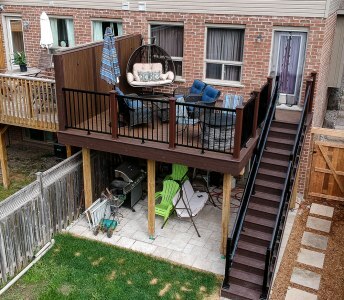 Global Aluminum Solutions is a manufacturer and provider of a wide range of railings and high-quality stairs and installation services within Toronto and GTA. We work with every kind of project big or small: interior and exterior, residential and commercial. Please view photos of our most recently completed projects. 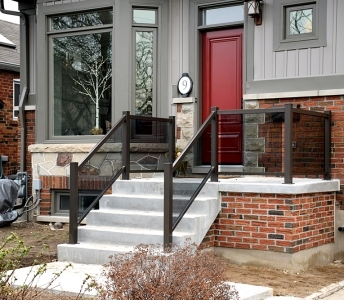 We hope they will become a starting point for your Railing & Stairs Design Ideas. See anything you like? 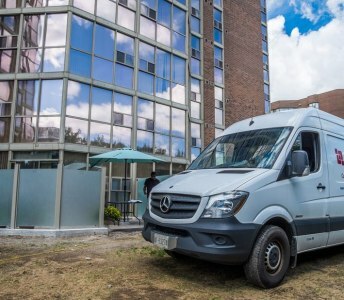 Give us a call and we will be happy to share with you the full story behind the project. 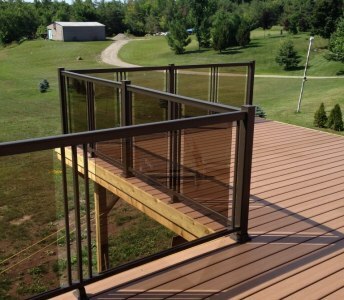 Installation of aluminum with glass railings in wooden deck. 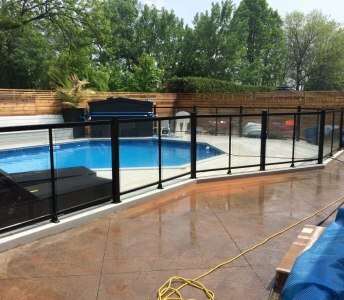 Black colour of railings and glass panels ties interior and exterior of the house with the warm finish of the wooden deck. Clean and beautiful railings. 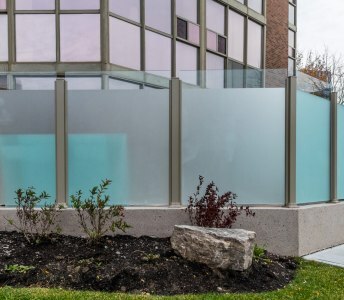 Glass panels let enjoy you unobstructed view of the country sides.